Stacy Adams has been part of the American fashion scene since 1875, talk about tradition! 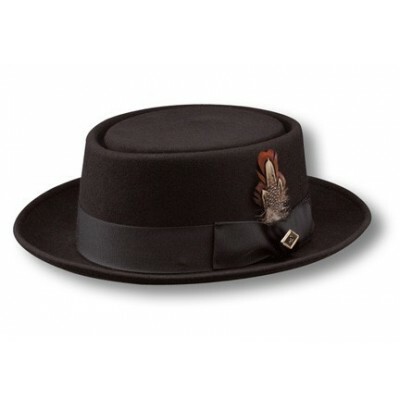 Channel this classic look with this our Stacy Adams Wool Felt Rocket Pork Pie hat. 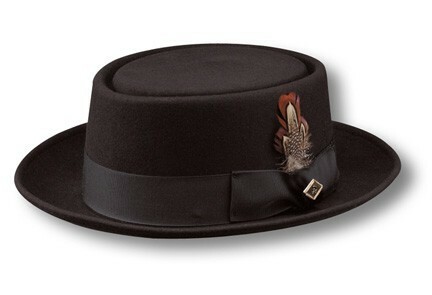 This hat has a flat top with a gentle upturned brim encircling. The grosgrain ribbon band, double bow, logo pin, and feather add a touch of detail.